Everywhere you turn, there’s another news story emphasizing the impact artificial intelligence will have on the enterprise this year. Along with that are headlines screaming about Silicon Valley giants siphoning off talent at a time when machine learning has become a huge driver in the battle for digital transformation dominance. So if you’re looking to make good on the promise of AI, where can you turn for talent? Desperate times, it is said, call for desperate measures. Many organizations are dealing with the AI talent shortage by forming partnerships with universities and by training and building from within. “If your business is operating in one of the sectors or economies that is gearing up for fast adoption of AI, you’ll have to move quickly if you want to capitalize on the openings, and ensure your business doesn’t lose out to faster-moving and more cost-efficient competitors,’’ the report advises. This is something CIOs will be grappling with as more organizations deploy AI-oriented initiatives in the next couple of years. Staffing skills is the No. 1 challenge for 54 percent of CIOs looking to adopt AI, according to Gartner, which has deemed 2018 as the year “AI Democratization” begins. 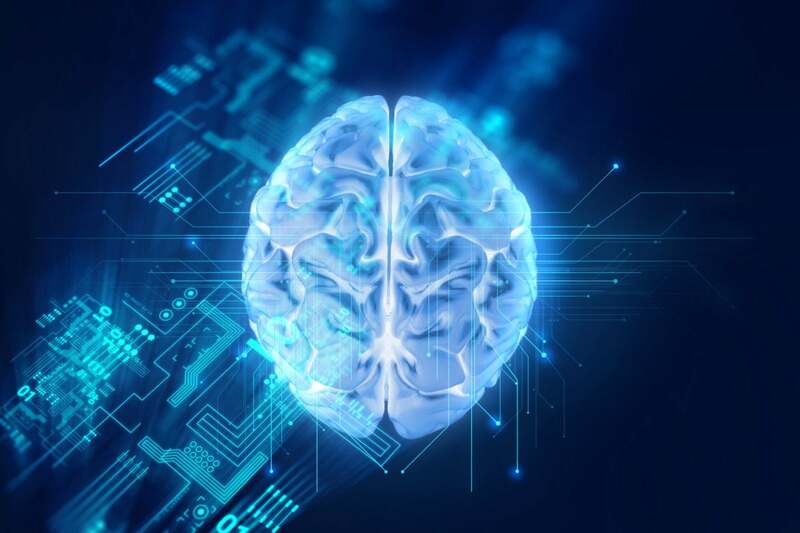 But some CIOs are facing a double-whammy as 37 percent are still struggling to define an AI strategy, the research firm says. “The challenge of creating an AI strategic development plan parallels the staffing challenge, as having AI-savvy workers and executives benefit organizations actively working to set strategy,” according to the Gartner “Predicts 2018: Artificial Intelligence” report. That said, the firm believes by 2020, 85 percent of CIOs will be piloting enterprise AI projects using a combination of buy, build and outsource efforts. Specifically, demand is growing for data scientists, robotics and AI engineers, and workers with experience in deep neural networks, big data and analytics, among other tech specialists. Recruitment firm Glassdoor ranked data scientist as the No. 1 job in the U.S. in 2016 and 17, based on job openings, salary and job satisfaction. But given the pace of technological change, increasing computational processing power and a lower barrier to entry, these workers are hot commodities and have become elusive. There is a broad assumption that AI will eliminate jobs and tasks, and while some will be consumed by machines, human workers will not be replaced, but they will need to master new skills to work alongside AI to deliver value that only humans can provide, experts say. “Companies that become overly reliant on machines to complete work without devoting time and resources toward building human-driven skills could face a significant AI staffing and skills shortage,’’ says Ben Pring, vice president and director of Cognizant’s Center for the Future of Work. Organizations should invest in building the following employee skills for the new workplace landscape: analytical thinking; verbal & written communication; design; decision-making; interpersonal skills; and global operating, among others, according to Pring. Organizations should be planning for long-term training and development to meet these emerging needs, PwC advises. Some are heeding that advice, and say they are coping. High Alpha also gives students still in school “real-world experience, and we give them meaningful projects and get to know each other, so it’s kind of a long running interview.” That essentially gives the firm a talent pool to draw from, he says. The firm also communicates internally about what AI is and what can be done using machine learning technology. “The goal there is to demystify the aspects that go into machine learning,’’ Clerkin says. “By doing so, you start to surface people internally who are interested in doing AI components,” such as modeling and extracting data from files and massaging it. Staff with some engineering or math skills make ideal candidates for this type of work, he says. High Alpha also discusses some of the work it is doing during speaking engagements and publishes it on social media, Clerkin says. “We’re trying to cast a really broad net with the thinking that really smart engineers and data scientists will read it … and think we’re doing cool stuff and want to come work with us,” he adds. Out of “hundreds of individuals” West Monroe has interviewed for AI-related positions, “we’ve found one or two that have those full set of experiences and capabilities,’’ Layok says. That sentiment is also shared by Dr. Ben Waber, a visiting scientist at the MIT Media Lab. “Learning on the job is still cheaper than spending $40,000 on recruiters to hire the same person — and then you have to onboard them anyway,’’ he says. But organizations still need experienced people who understand the deeper complexity of an algorithm, and will have to pay top dollar for them, he adds. But thinking that “every single person has to have a PhD and five years of industry experience, you’re just overthinking this,” says Waber, who is also president and CEO of behavioral startup Humanyze. If an organization is looking to build a scalable AI system, it will also need people with “pretty sophisticated back-end experience,’’ he says. “We’re certainly deep in the hype cycle [of hiring] right now,’’ says Waber. “Everyone and their brother is doing AI right now.” At the same time, he says, “some companies are paying lip service [to AI] but not doing hiring.” In general, though, there is strong recognition that having AI skillsets is important, and organizations are gearing up to both hire and train from within. This will remain constant for a while, Waber believes. “Gartner uses the term ‘citizen data scientists;’ people in your organization that you bring to the other side,’’ says Layok. “I think university programs are getting better, but my experience is they’re not there yet. Graduates are getting better and better every year, but that alone won’t satisfy the demand” for AI workers. If companies haven’t looked at internal development yet, it’s probably a good idea to start now, before their AI efforts ramp up. Universities are doing their part, and many have begun offering meatier undergraduate, graduate, and professional certificate programs in AI and machine learning. Yet even with schools now producing many graduates with valuable deep-learning skills, Gartner says few of them have the intuition that delivers great foundations for a successful deep neural network model. A contributing writer for IDG, Esther Shein is a journalist with extensive experience writing and editing for both print and the web with a focus on business and technology as well as education and general interest features.